Check out the rest of this series from Chris Linder, who went from writing grants as an oceanographer to getting NSF grants to visually document scientists. His insights range from grant writing to packing for the extreme conditions of Arctic and Antarctic expeditions. Here he outlines his upcoming expedition to the Bering Sea. To learn more about the trip, register now for his webinar live on location and see daily photo essays from the expedition. Chris will also be documenting the expedition here with a photo each week and an explanation of how it was made. The fifth Live from the Poles expedition starts on April 3 and runs through May 11, 2009. 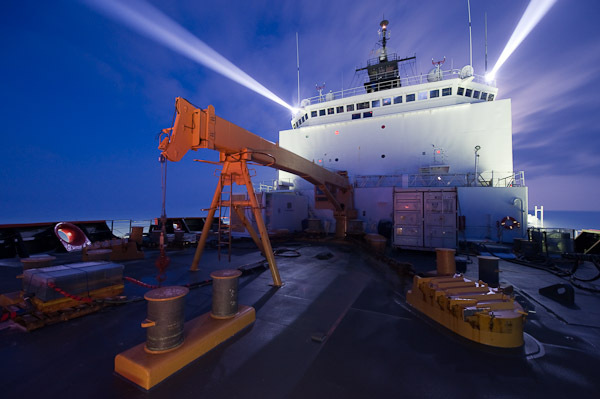 Science writer Helen Fields and I will be joining a large research team studying the impact of climate change on the Bering Sea ecosystem aboard the U.S. Coast Guard icebreaking ship Healy. The Bering Sea is one of the most productive regions of the world’s oceans, accounting for nearly half of the total U.S. fishing catch. Climate models are forecasting substantial warming for the southeastern Bering Sea shelf region, which will dramatically alter the distribution of species of fish, seabirds, and marine mammals. Understanding this ecosystem and how it will respond to rapidly rising temperatures is of critical importance to both commercial and native fisheries. The 40+ researchers aboard the Healy will be deploying instruments and collecting samples in round-the-clock shifts for six weeks straight. 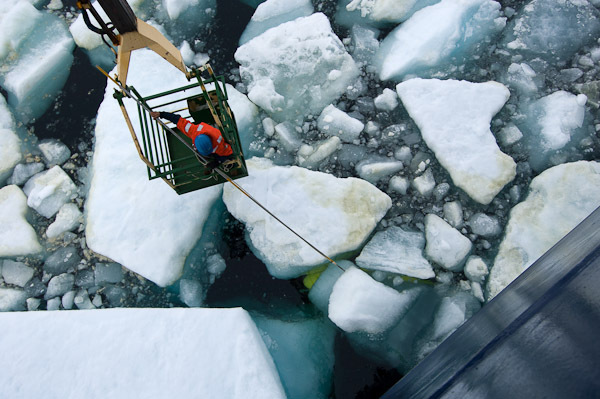 Our two-person media team will be in the thick of the action, whether it’s collecting cores of sea ice or lowering high-tech plankton microscopes into the icy water. In addition to the still photography, I plan to spend more time collecting professional-quality audio during this expedition. Although I have collected ambient sounds during previous trips (see the Polar Fun pages on the Polar Discovery website under each expedition), for this trip I plan to add interviews. I will continue the time-lapse photography I experimented with on the last few expeditions and perhaps even dabble with videography. All of the photographs I take on this expedition will be tagged with the latitude and longitude using a GPS tagger, which will make them particular useful to the science team. 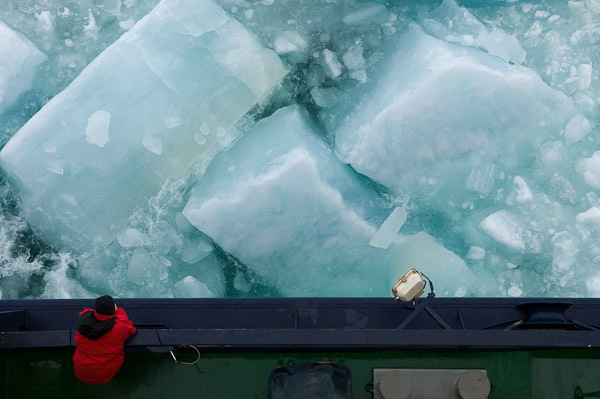 But the core objectives of the project will remain the same—to deliver cutting-edge polar science to the public online through professional still photography and science writing. Check out the rest of this series from Chris Linder, who went from writing grants as an oceanographer to getting NSF grants to visually document scientists. His insights range from grant writing to this post about packing for the extreme conditions of Arctic and Antarctic expeditions. Also, you can register now for Chris’s upcoming webinar live from the Bering Sea. The simple answer to the question, “How much gear do you take?” is, “As much as I am allowed.” Each expedition has presented a different sort of logistical challenge. For a ship-based expedition, like the trip aboard the Swedish icebreaking ship Oden, there was really no limitation to what I could bring. A 400-foot-long icebreaker is like a small floating city, and typically you can walk your gear right onto the ship. 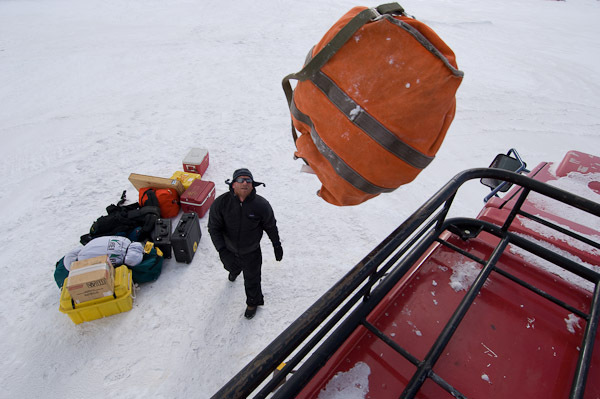 For other trips, like shooting in remote Antarctic field camps, I was severely weight-limited. Everyone traveling to McMurdo Station (the largest U.S. base on Antarctica) is allowed only 85 pounds of personal luggage on the C-5 flight from Christchurch to McMurdo (not including carry-on). When you factor in the heavy weight of parkas, cold-weather gear, and boots, there isn’t much room left for photography equipment. So for that trip I loaded my heaviest gear into a small carry-on backpack and packed the rest of the lenses, tripod, and accessories into socks, long underwear, and parkas, and stuffed them into a combination of hard and soft cases. On location, I prefer to work out of a waist-belt system made by ThinkTank. I carry one body with two lenses in a Digi Holster 50 and the rest in lens cases strapped to a heavy-duty waist belt. This system allows me to quickly swap lenses without slowing down, while also preserving my spine. 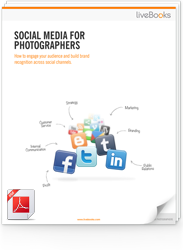 Since 99% of my photographs are not posed, being ready to grab a shot at a moment’s notice is critical. Be Part of the RESOLUTION: What’s was the hardest lesson you ever learned about packing or traveling with gear?